Is it the years of experience? Or experience in your years? 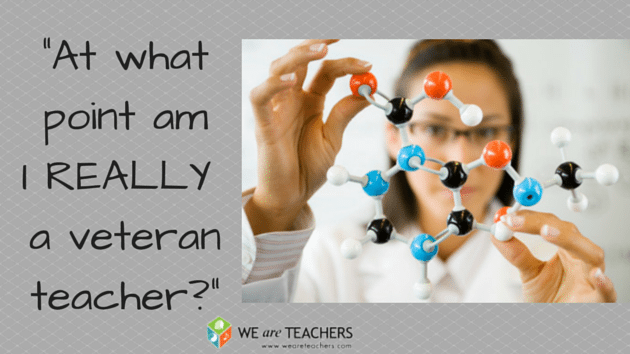 You put your blood, sweat and tears into your teaching job from day one, but at what point are you really a teaching veteran? “I would say at least 10 years in education.” —Marielle E.
“This is how I was told it works: After the first year, you’re experienced; between two and five years, you become seasoned; and after five years, you are a veteran.” —Faye R.
“When you have done it longer than the person you’re talking to!” —Laura C.
“You’re a veteran when you feel confident enough to make decisions for your students and you are relaxed enough to enjoy them!” —Caryl M.
“I remember using the excuse of being a ‘new’ teacher my second year to get off of a committee and was told that I survived my first year, so now I was now a veteran. I guess it all depends on how quickly you get and apply experience.” —Hayley B. “When you have had a child throw up on you.” —Colleen K.
“When you can’t stand kid noise outside of work.” —Ruth F.
“Honestly, I’m in my 26th year, and the new people seem to know more than I do. I miss the days when you could teach and not test constantly and keep data for everything!” —Laurie H.
“When you can lesson-plan, watch Scandal, walk the dog, email parents, plan field trips, fix a lunch you won’t be able to eat … all at the same time!” —Kendall K.
“As soon as you speak against a new program in defense of what you truly know is best practice for kids.” —Colleen A. “Never! 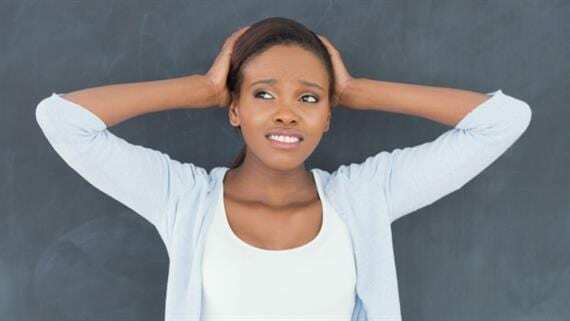 There is always something new to learn.” —Jessica M.
“It’s 10 years in for me, and my self-evaluation still has some ‘needs to improve’s … no one is perfect.” —Ariel E.
“When you finally feel like one​!” —Terry V.
How can I get my students to stop rushing through their work?